Angel of the Dire Hour ($4.40) Price History from major stores - Commander 2014 - MTGPrice.com Values for Ebay, Amazon and hobby stores! 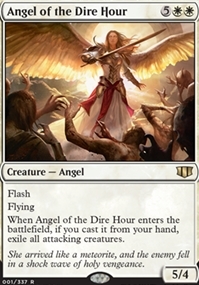 Card Text: Flash Flying When Angel of the Dire Hour enters the battlefield, if you cast it from your hand, exile all attacking creatures. 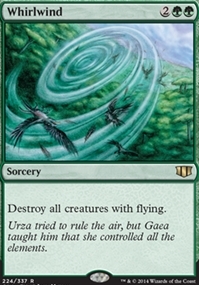 Flavor Text: She arrived like a meteorite, and the enemy fell in a shock wave of holy vengeance.